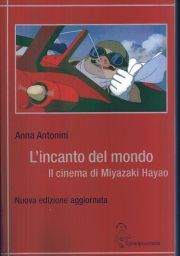 This page contains a listing of books written by or about Hayao MIYAZAKI. You can order these books through anime import stores listed in our Shopping Guide, though some of these titles may be out of print. If you have additional information on any of these titles, information on any titles we missed, or scans of any of the covers, please let us know. A, Totoro no Mori da! 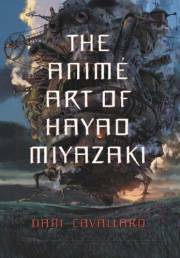 Covers Miyazaki and works up to Howl's Moving Castle. 180 pages. 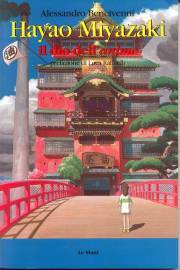 Covers Miyazaki and works up to Spirited Away. 156 pages. 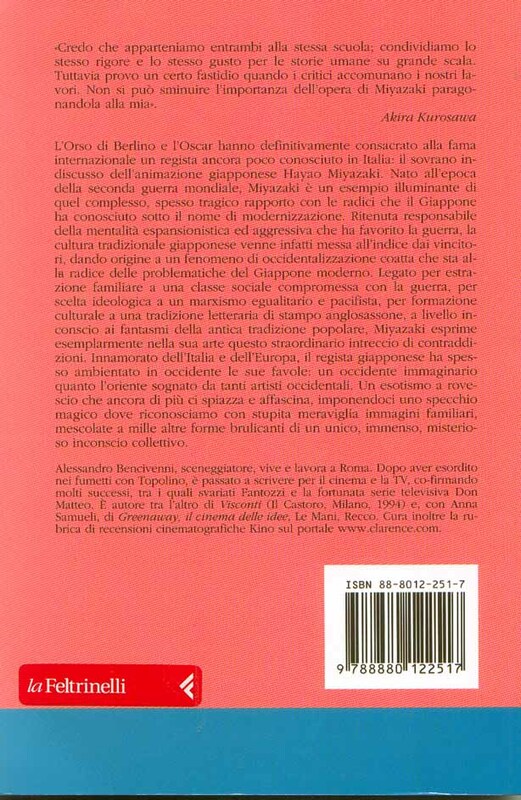 Scan of the back cover. Covers Miyazaki and works up to Howl's Moving Castle. 192 pages. 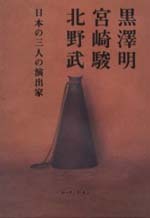 Update of a 2003 edition. 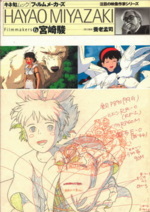 Cover and frontpiece illustrations are by Miyazaki. 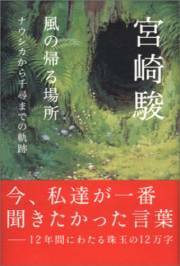 The book explains the Totoro's Home National Trust Movement; the movement to save the forest in the Sayama Hills. Totoro is the mascot of this movement. The September 1993 issue of NAVI magazine. Miyazaki wrote a 3-pages manga about his new car, a British Triking (sp?). It's a three-wheeler with 950cc V two-cylinder engine. There are photos of this car along with an interview article (with Mamoru OSHII) in the October 1993 issue of Animage. From the Institute of Isao Takahata & Hayao Miyazaki, 344 pages. Yoshie HOTTA and Ryoutarou SHIBA interview Miyazaki about the meaning of 20th century. December 1989 issue of NAVI. Miyazaki wrote a manga about his car, a Citroen 2CV. Contains five long interviews with Miyazaki conducted over the course of the 12 years and which had appeared in various magazines previously. Some overlap with this book. 352 pages. A compilation of interviews done for the monthly interview magazine CUT. 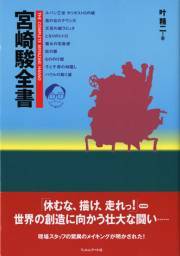 Contains some of Miyazaki's imageboard works, including the early forms of "Totoro" and "Mononoke". All about the animation of Miyazaki and Ohtsuka. Miyazaki and Akira KUROSAWA have a conversation in this transcription of a TV program. 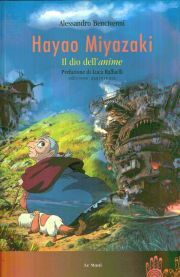 · Why Miyazaki Anime, now? 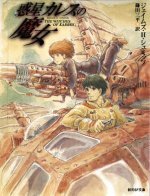 · Beyond the Landscape of 'Death': From "Hotaru no Haka" to "Tonari no Totoro"
Chapter 2: A Look of 'Cure': A Landscape of "Kaze no Tani no Naushika"
Chapter 3: What is an 'Analogy' in SF? : A Glance into "Tenkuu no Shiro Rapyuta"
Chapter 4: Revival of the Story of 'Living Body': The Universe of "Tonari no Totoro"
Chapter 5: Two "Majo no Takkyuubin"
A Pathology of 'Illustory Body': Unclearness of Anime "Majo no Takkyuubin"
Revival and Self-Independence of the Usual Body: The Natural Feeling in KADONO Eiko's "Majo no Takkyuubin"
A Regressional Ideology and the Pressure to Weather: 'Twist' in the Anime "Omohide Poro Poro"
'Incompatibility' to Family and the Present: Liveliness of OKAMOTO Hotaru and TONE Yuuko's "Omohide Poro Poro"
Compilation of essays by Miyazaki and interviews with Miyazaki. Includes some graphical essays and idea sketches. Also includes an essay written by Isao TAKAHATA about Miyazaki. 584 pages. Tokiko KATO was the voice actress of Gina. 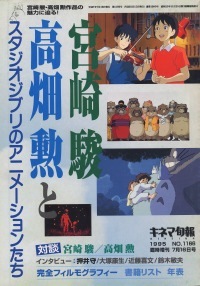 Includes the illustrations by Miyazaki from the ending of the movie, lyrics by KATO, and an interview with both of them. Miyazaki visits and reports on aged houses in Tokyo suburbs. 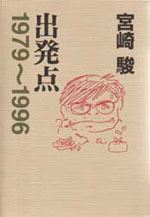 It was originally seriallized in Monthly Asahi in first half of 1991. 74 pages. Nichols is a naturalist who lives in Japan. 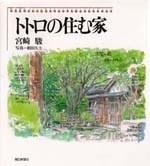 Illustrations including cover by Miyazaki. Also includes an interview with Nichols and Miyazaki. There is a pocket-size edition of this book. 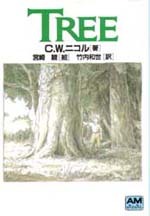 Both editions used the same illustration by Miyazaki for the cover but had different styles of text. The version pictured here is the 1996 reissued book.